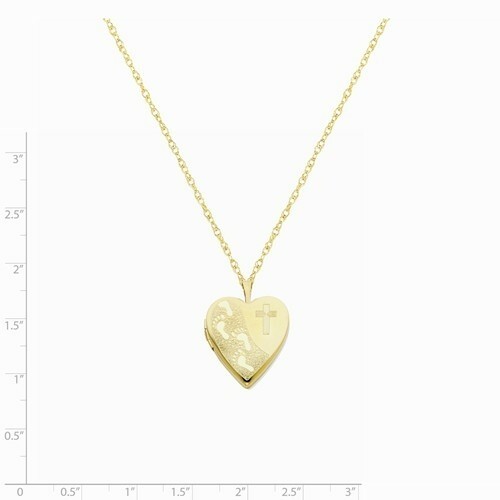 A classic, 14k gold filled locket. Measures 3/4" across. Holds 2 pictures. 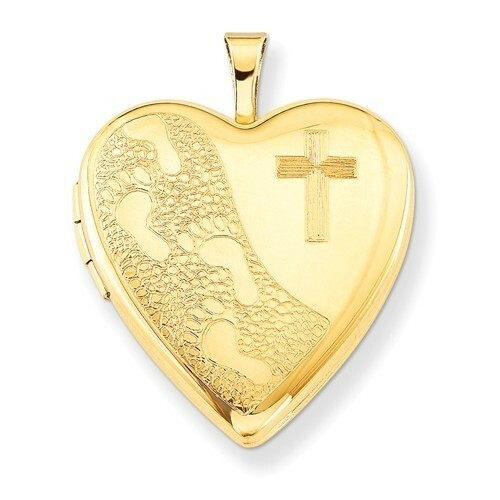 Made by one of the best locket manufacturers in the world. 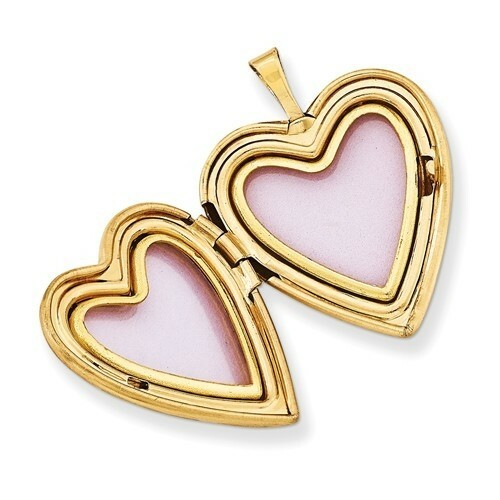 This locket is packaged with a 14K gold filled chain that is 18" long. Boxed and ready to gift. Plenty of room for engraving on the back. Personalize with a sentiment. Lifetime warranty.